Japanese sweets in winter, it’s made of Sake! Saka Manju is the Japanese sweets usually sold only in winter. Its dough is made of sake, and a sweet bean ball is in it. Saka Manju sold around Fushimi Kyoto is also popular. 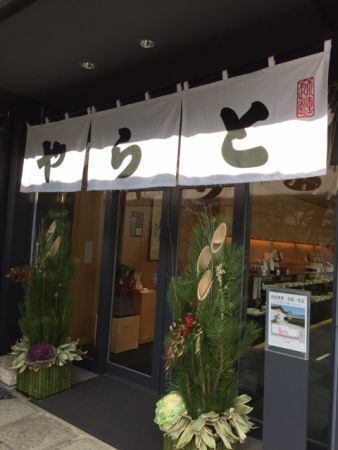 A famous sweets shop long standing in Kyoto, “Toraya” starts selling Saka　Manju called “Toraya Manju” in winter. It’s white ball like snow. The recipe of Saka Manju was brought from China by a priest Shoichi. The detail history is written on the web site of Toraya. Its dough easily get harden, so it’s better to have the fresh one. We can have Toraya Manju hot from the steamer in Toraya Karyo(Japanese café). I enjoyed the subtle fragrance of Sake and a delicious sweet bean ball. This warm sweet is really delicious especially in winter. 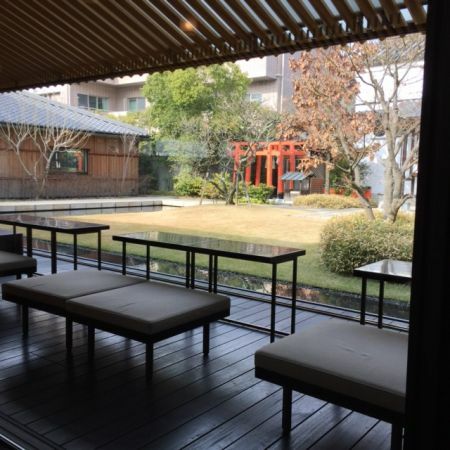 On the back side of Kyoto Ichijo store, Toraya has the nice modern Japanese café. We can have delicious sweets made by TORAYA and powdered green tea here. Seeing the camera in the garden and traditional warehouse, we can relax in table and chair style. 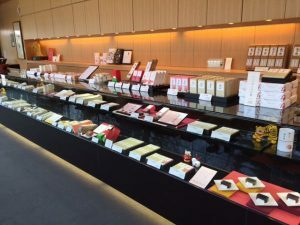 I have thought that they might have many foreign guests since they display many books about Japanese sweets and tea ceremony written in foreign languages. But I found a lot of Kyoto citizen living near here also love this café. Enjoying alone, I heard such nice conversations here. Each guest has their favorites. 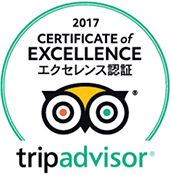 And I found many people such as elderly couple, man alone like me, living in Kyoto are looking forward to coming to TORAYA Karyo. We can also have Miso soup made of Kyoto white miso from January 3rd to 20th. It is brought with a gorgeous red Japanese bowl. TORAYA KYOTO Ichijo store is in front of imperial palace, among Karasuma Street. TORAYA has really long history because they started bringing their sweets to the imperial palace around 1586~1611. 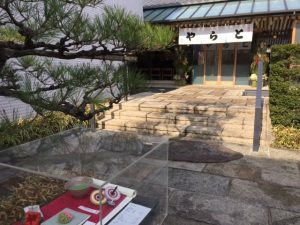 In January, we can see beautiful pine tree decollations called Kadomatsu　in front of the gate. We can buy seasonal fresh sweets and their specialty Yokan (sweet bean jelly).